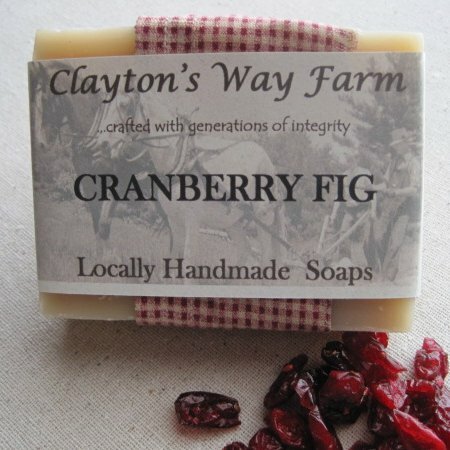 The sweetly tart fragrance of our Cranberry Fig soap is a compromise between the aromas of sweet ripened figs and freshly ground tart cranberrys. An alluring and seasonless scented soap. Ingredients: Saponified coconut, palm, olive, soybean, grapeseed and castor oils. Cranberry Fig fragrance oil; and sometimes alkanet infused oil for coloring.